Manufacturers are diversifying with the use of convenient, functional and appealing flexible packaging formats. In recent years the soup and sauce industry has come under fire for being quite monotonous among consumers. 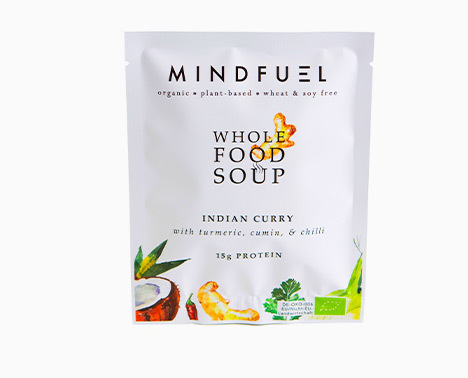 However, the rising popularity of alternative cultural cuisines paired with a spike in the demand for fresh and organic alternatives has seen a rise in the development of new, more exotic soup and sauce ranges. 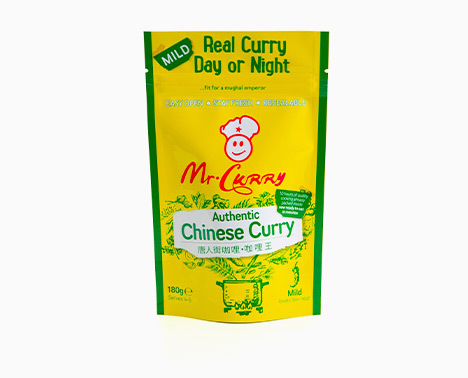 Flexible packaging is a great choice for manufacturers as it keeps soups and sauces safe and fresh from fill through to final dispensing. Our range of high-quality materials protects the quality and extends the freshness of your product while our convenient features allow your end user to dispense easily with minimal product waste. 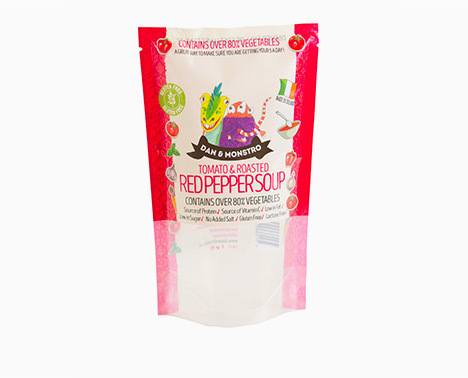 With aseptic technology, soup and sauce products are shelf-stable and preservative-free with no refrigeration needed. Developing new soups and sauces requires a collaborative effort as well as a blend of branding and packaging expertise. Digital print technology allows us to manufacture prototypes for market testing as well as launch quantities so that manufacturers can get their product to market in a quick and cost-effective way. The competitive nature of the soup and sauce industry means that manufacturers are finding it harder than ever to increase market share. 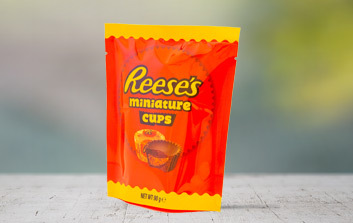 Flexible packaging formats such as our easy pour spout pouch or visually appealing shaped pouch are sure to catch the consumers attention. Depending on your process and product requirements, we will recommend bespoke laminates to protect and preserve your product while creating efficiencies within your filling process. Our packaging is suitable for retort and sterilisation processes meaning your product can stay as fresh as the day it was filled. 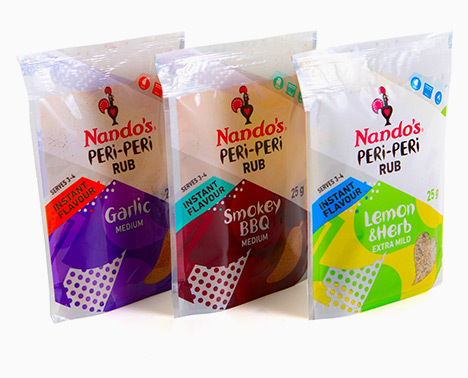 An eye-catching take on the traditional stand up pouch, the shaped pouch adds an edge to your product offering through functionality and convenience. Choose from our range of custom shapes or create your own with a spout and cold bridge for easy handling. This disruptive format is growing in popularity in the soup and sauce market. Spout pouches are safe, light weight, unbreakable and easy to carry. 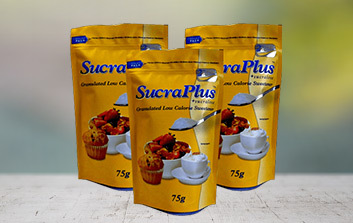 They offer quick and convenient access to your product with mess free dispensing and instant shelf appeal. 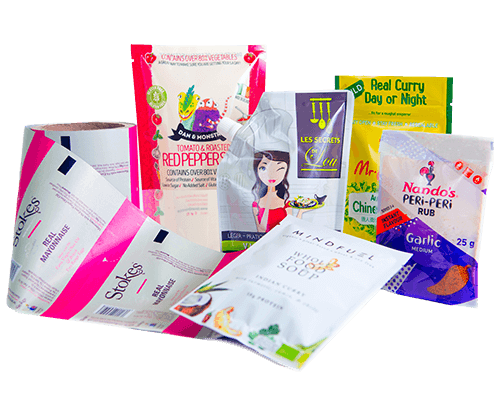 Perfect for single serve sauces, printed films are suitable for use on both vertical and horizontal filling machines to produce sachets, pillow packs and quad seal pouches. 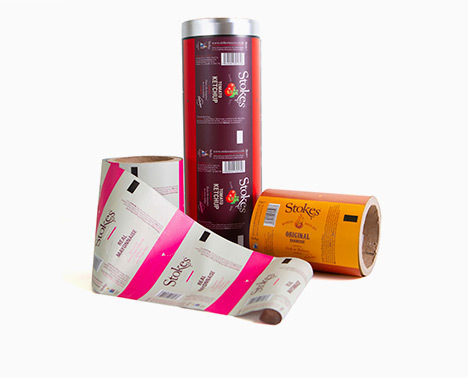 Our printed film packaging is available in a range of thicknesses with custom barrier properties.